On 14th February 2014 the Ambassador of the Republic of Serbia to the Republic of Azerbaijan Mr.Zoran Vajović, held a press conference on the occasion of the perspectives of Serbian-Azerbaijani mutual cooperation and of the Statehood Day of the Republic of Serbia. At the conference Ambassador addressed the 2014 key events regarding the Serbian-Azerbaijani relationship, and future partnership perspectives. 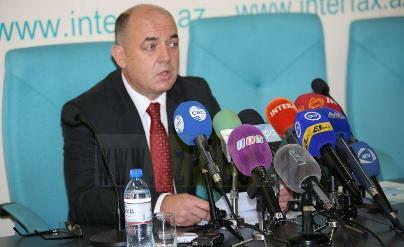 Journalists from more than 25 Azerbaijani TV stations, news agencies and newspapers, attended the conference.